In its 2011 estimate, the International Energy Agency (IEA) reported that in 2010, the world emitted some 30.6 gigatonnes of harmful CO2 gasses into the atmosphere, thus making the target of limiting global temperature increase of 2ºC a bleak prospect. On the one hand, emissions actually reduced in 2009, when the global economic meltdown of 2008 allowed for lower manufacturing and demand for energy. However, in 2010, as the economy recovered slowly, emissions once again increased to 5% than in the previous levels. This went against sympathetic scientists’ expectations of a ‘breathing space’ while demand for energy is low and gives policy makers more time to ‘negotiate’ and contemplate a well-positioned climate policy. In a statement, IEA chief economist Dr Fatih Birol said that “This significant increase in CO2 emissions and the locking in of future emissions due to infrastructure investments represent a serious setback to our hopes of limiting the global rise in temperature to no more than 2ºC”. 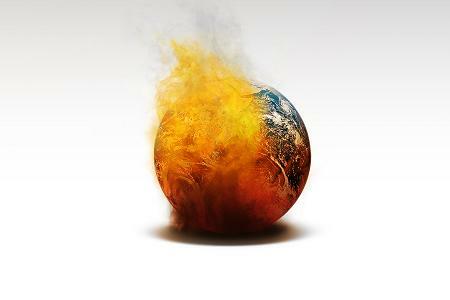 For some time now, it has been a consensus among scientists and policy makers that the world must at all cost avoid a temperature increase of 2ºC through to 2050, if we are to avoid catastrophic and irreversible weather consequences. To achieve this goal, the world should emit no more than 5% of CO2 emissions in 2020 compared with 2000 levels, and even less after 2020. This also means that the world should not emit more than 32 gigatonnes of CO2 into the atmosphere by 2020, or rise less than the total increase in emissions from 2009-2010. Thanks to last year’s 30.6 gigatonnes of emissions, the world is now in an even more difficult situation to meet the 32 gigatonnes limit emissions by 2020; too bad some 80% of the emissions in the next decade is now locked-in, meaning that 80% of emissions will come from presently under-construction powerplants thus adding to the predicament. However, as with previous climate talks in the past ten years, climate talks have been hampered by the unwillingness of advanced economies to commit more for the climate than developing countries, not to mention economically struggling economies. It all boils down to the capitalist system of business as usual and gaining geo-strategic advantage over other countries as well as baby-sitting greedy corporations. Although scientists still are not sure what a 2ºC global rise in temperature brings, nevertheless, they are predicting mass extinctions, deforestation, desertification, more extreme weather events, as well as rise in sea level which will greatly threaten low-lying countries and thus pave the way for mass migration and conflict. Quite predictably, imperialist powers are not busy tackling dramatic steps toward a friendlier emissions targets; tensions are actually building up as fight for new sources of resources slowly becomes the new agenda: with the melting of the Arctic, vast oil and gas reserves become economically viable to tap while new sea lanes open as well. Arctic countries including Denmark, Canada, Russia, and even the US and UK now are scrambling for control of this new exploitable expanse of the globe. Also, efforts to forge a free-market out of CO2 emissions have failed as capitalist leaders can’t agree on how to cash in. On the one hand, developing countries and the lesser ones argue that developing a market that takes advantage of this climate danger is not the path at all to solving this unprecedented challenge; those who caused this in the first place should be the ones who should be more diligent, responsible, and empathetic. In addition to governments, transnational corporations represent a real obstacle to any advances in green technologies; anything that presents a threat to their profits should be side-placed, if not thrown to the waste bins. On the one hand, the economic resources needed to tackle climate change is not as gigantic as most think it is; it is just a matter of the right allocation of resources. For instance, the IEA estimates that spending US$10-$100 billion annually can help tackle 2020 emissions targets. That figure translates less than what the US military will spend in Afghanistan this year. Even more startling, that amount is less than one-third of the combined wealth of the ten richest individuals in the US alone. To effectively tackle global emissions, developed nations should be more serious in developing new strategies including pursuing the path to greener energy generation, rethinking of industrial and agricultural practices, as well as making transportation more efficient. It is never been more important to move away from a profit-based way of life, but more toward to a world where social needs are met, and not on excessive consumption, wanton exploitation, and business as usual. This entry was posted in Climate, Geopolitics and tagged climate change, co2 emissions, copenhagen summit, durban south africa, IEA, international energy agency. Bookmark the permalink.